Sorry but this property does not accept pets. 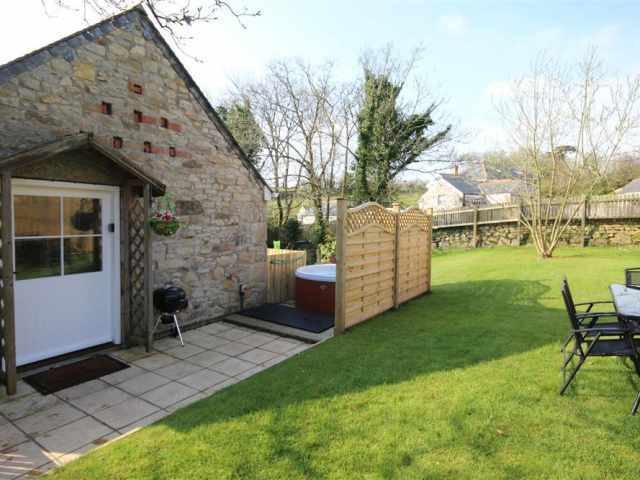 Hot tub is included in the rental charges and available all year round! 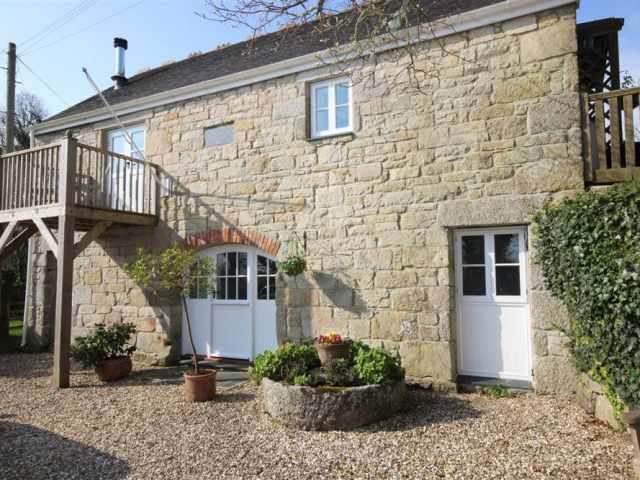 Penberthy Barn is an exceptional example of a beautifully converted barn which has been tastefully furnished and is superbly equipped. 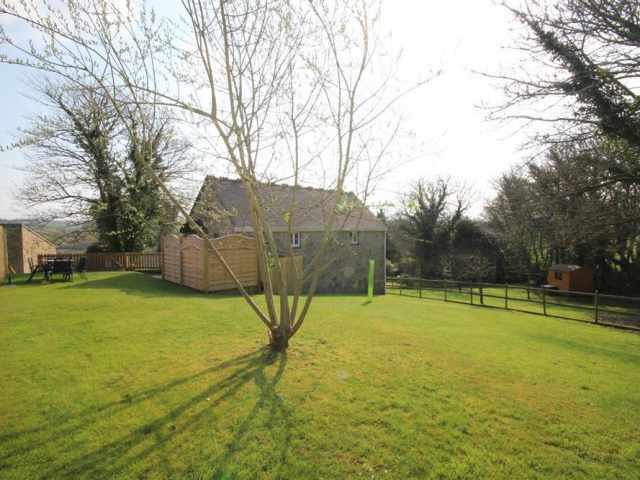 The property shares its peaceful location with four other cottages which are all set around a feature pond. 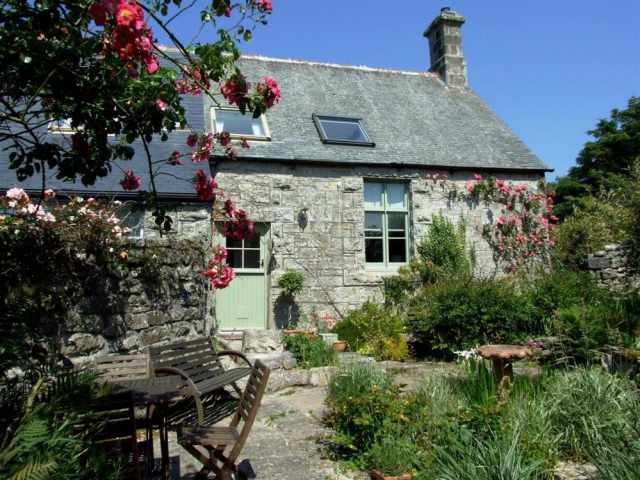 Detached and spacious with reverse layout accommodation and the bonus of a private hot tub makes Penberthy Barn a worthy contender for your Cornish holiday shortlist. 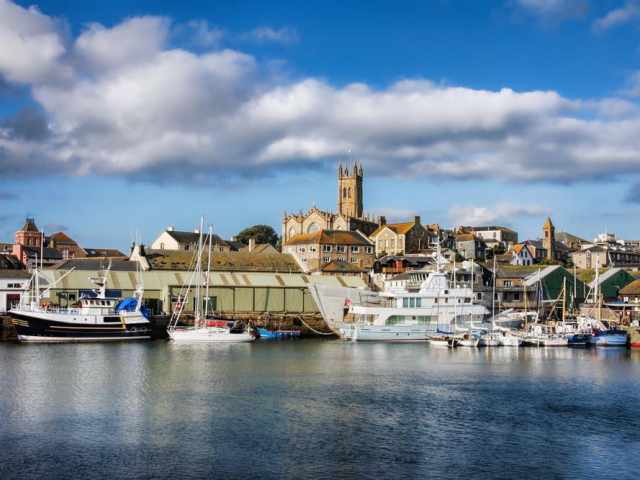 The village of St Erth with its pretty church is just a short drive away. 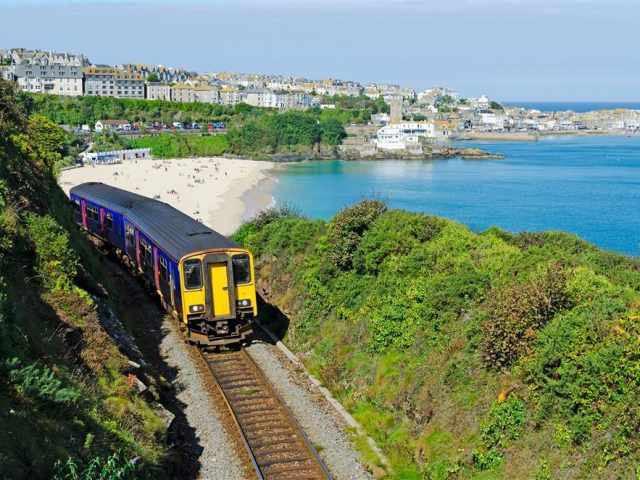 In St Erth you will find a friendly local pub (The Star Inn) and village shop as well as train station (with mainline connection) which can transport you through lovely Cornish countryside and along the coast to St Ives and is a trip well worth doing. 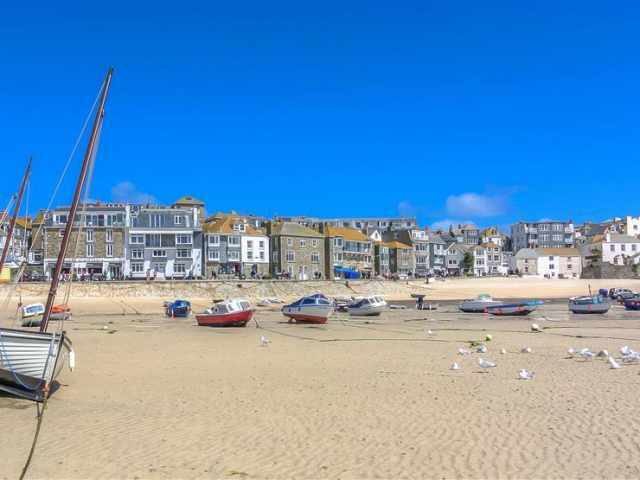 St Ives is less than 7 miles away and easily accessible by car. 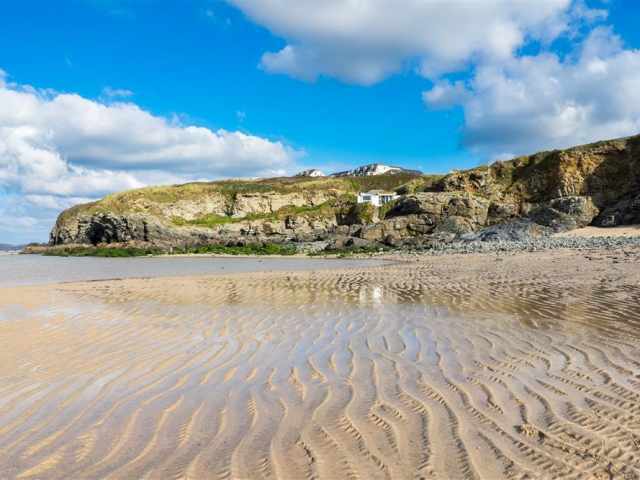 The nearby town of Hayle has a 'Walkers Welcome' status thanks to its abundance of well-maintained footpaths and trails. 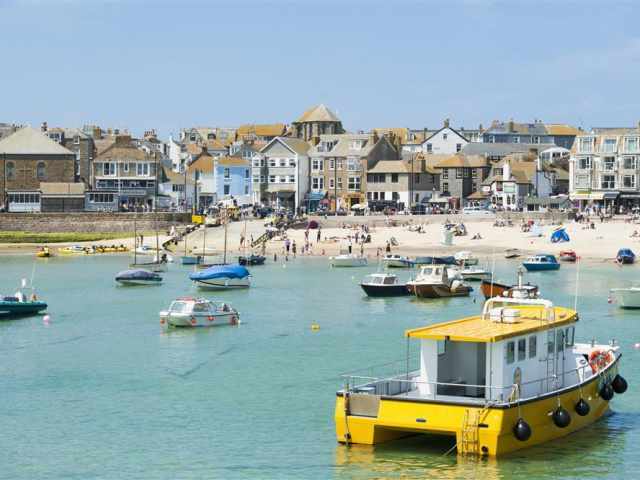 The town of Penzance with high street of shops and selection of supermarkets is a twenty minute drive from St Erth. 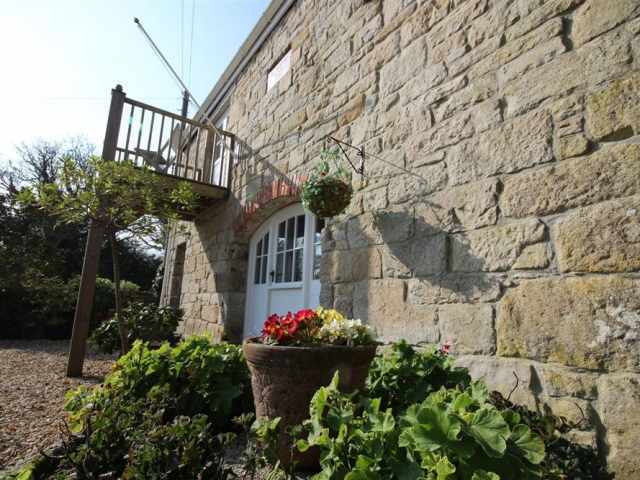 Seven concrete steps (with handrail) lead up from the gravelled parking area to the side entrance above. 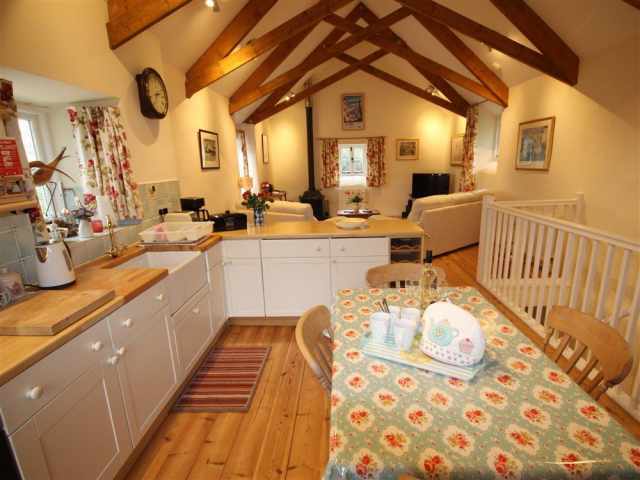 The light and bright open plan living space welcomes you with an array of original features and beams on display. 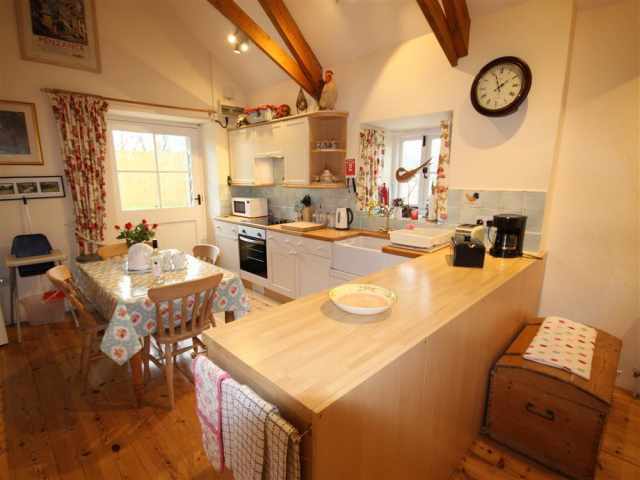 The well equipped kitchen has all the appliances needed with a dining table and four chairs taking centre stage. 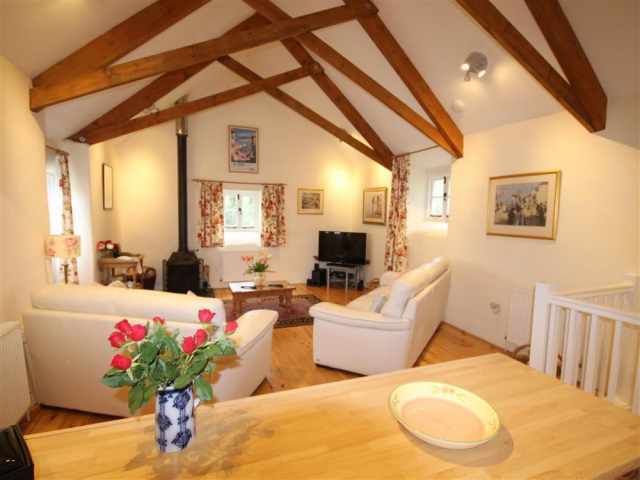 The living area is comfortably furnished with two large leather sofas and wood burner adding character and supplementary heating if required. 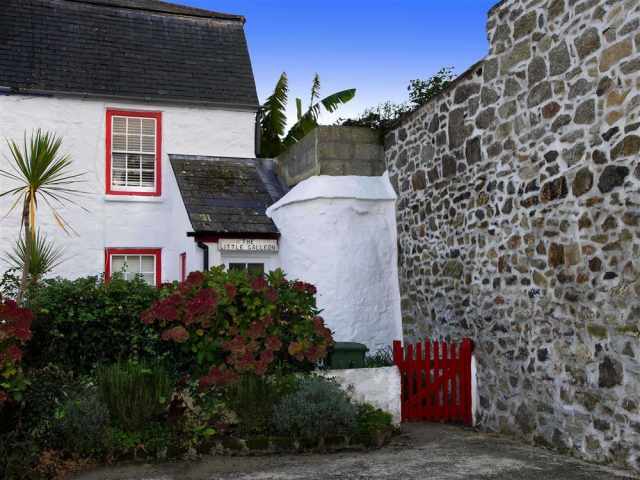 A pretty door leads out onto a small decked balcony where views over the neighbouring countryside can be enjoyed. 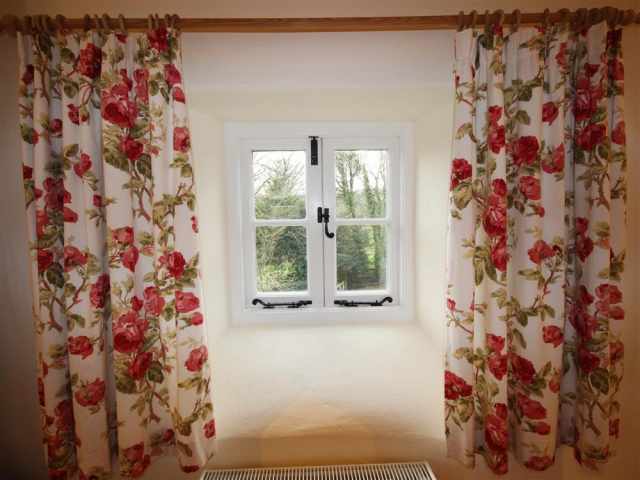 Stripped wooden flooring adds warmth with tasteful Laura Ashley fabrics adding colour and a touch of elegance. 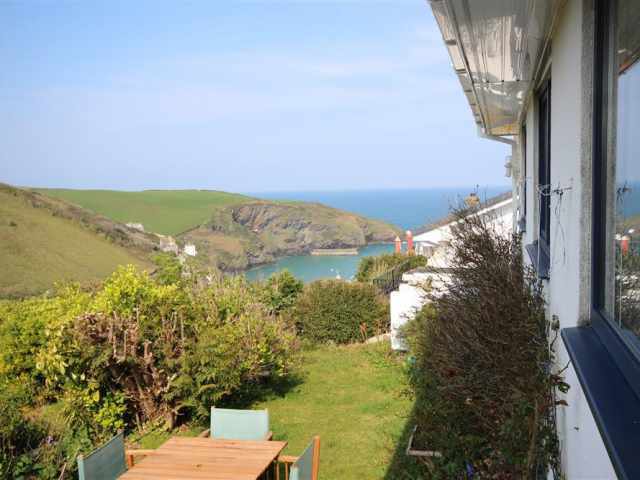 A carpeted staircase with handrail leads down to the two bedrooms and bathroom facilities. 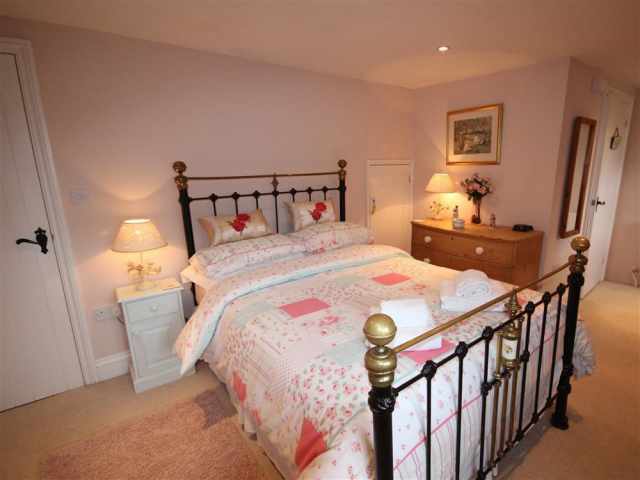 The two pretty carpeted bedrooms comprise of a spacious double bedroom with an exquisitely presented Cornish wrought iron double bedstead. A further entrance door out to the gravelled parking area from this bedroom makes loading and unloading a little easier too! 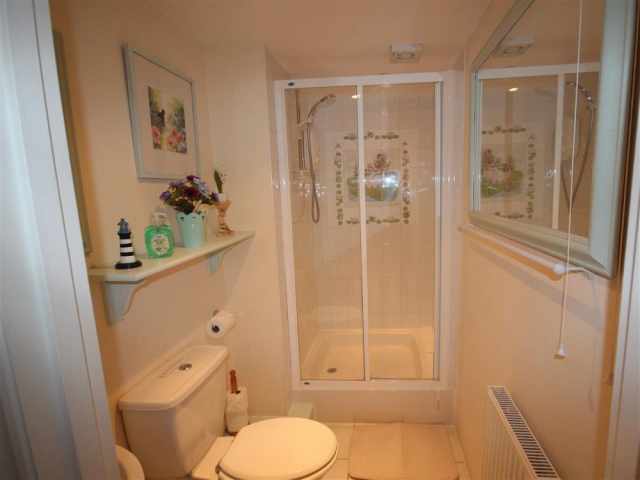 The ensuite bathroom WC with tiled floor is Beatrix Potter themed and comes with bath, overhead mixer shower and wash basin. 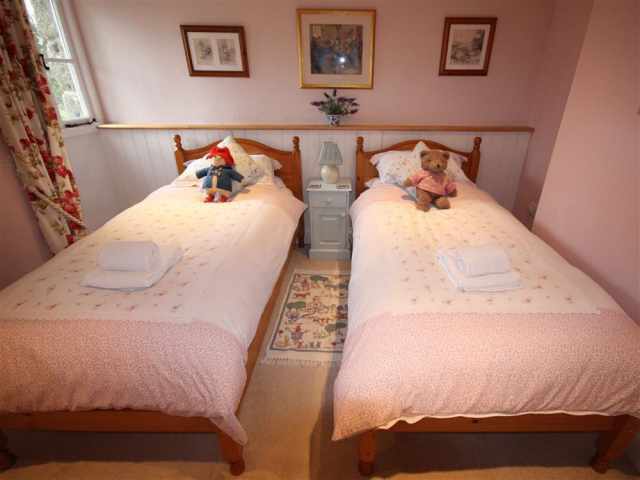 The gorgeous twin bedroom completes the sleeping arrangements. 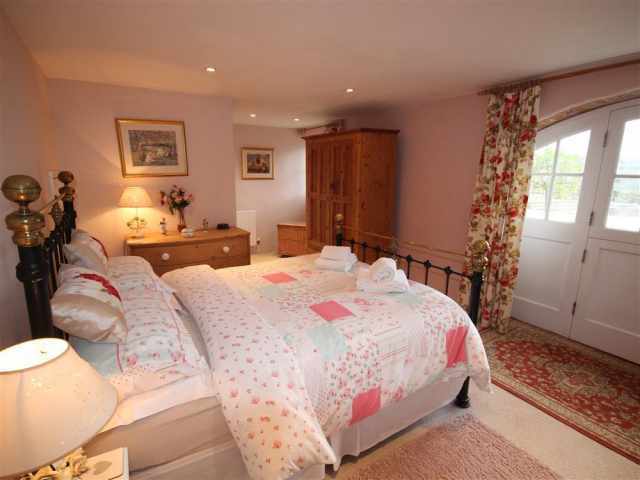 Both bedrooms have ample hanging and drawer space between them and the double bedroom also has a television. 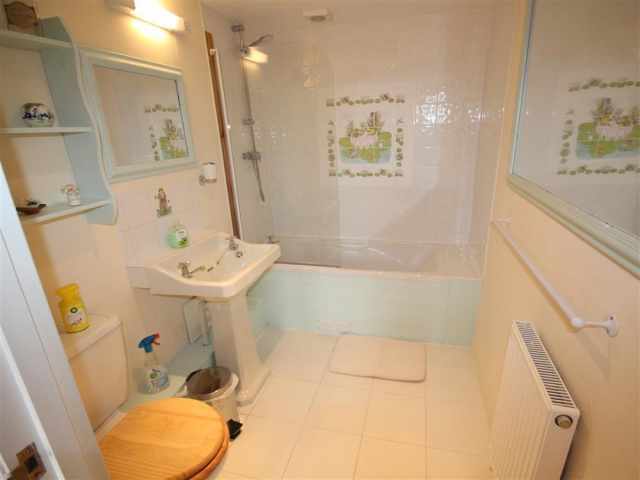 Next to the twin bedroom at the bottom of the stairs is a good size shower room WC with large shower cubicle and wash basin. 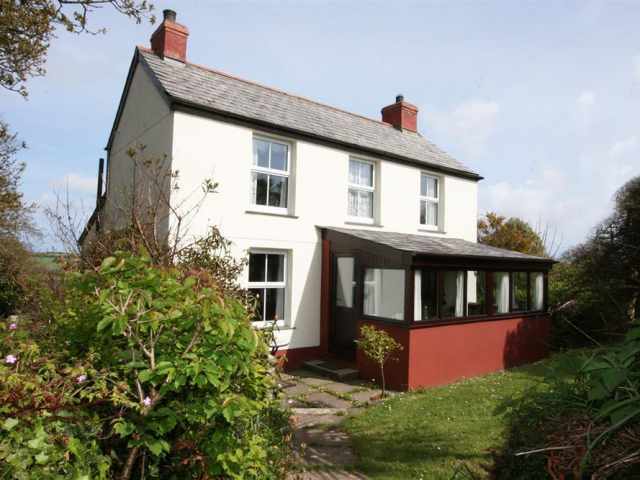 The property is heated via gas central heating with the wood burner providing supplementary heating if required. Outside to the front of the property is parking on a gravel surface for two cars. 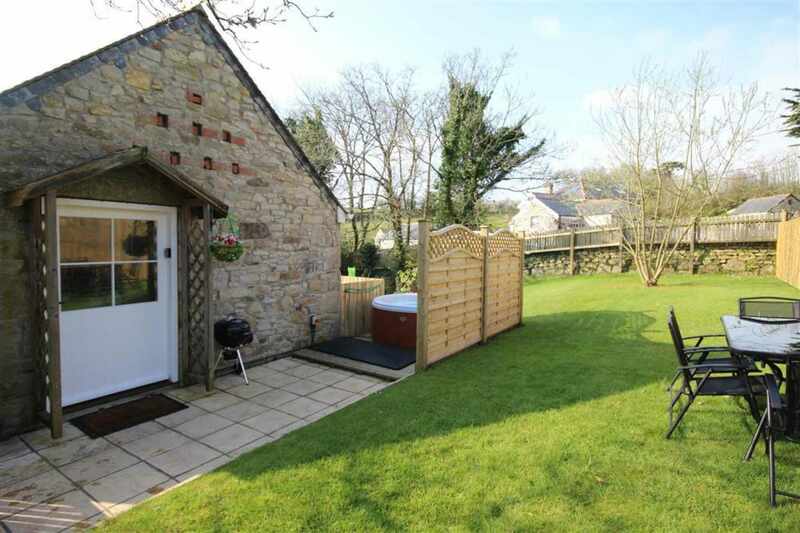 The four person hot tub is conveniently located by the main side entrance door and is screened for extra privacy. 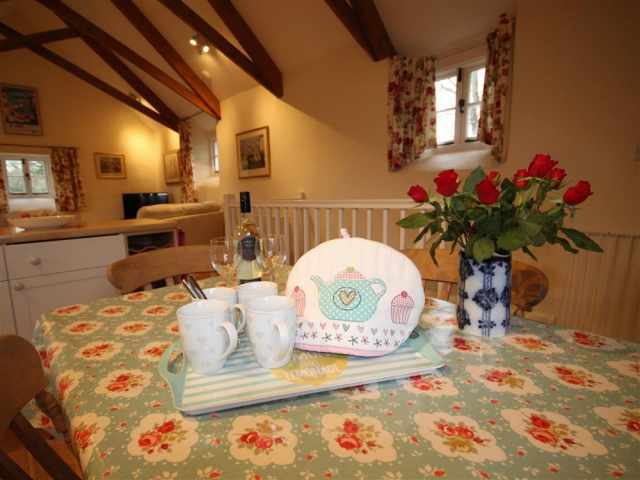 -Hot tub is included in the rental charges and is available all year round!